(Global Powers) - The Republic of Somaliland is happy to see the Russian Federation being interested in continuing to build a cordial relationship with Somaliland after Russian diplomats came to Somaliland in May of last year and Somalilanders went to Moscow for further talks. Somaliland is glad to hear that the Russian Federation is willing to send even more military advisors to help Somaliland's military modernize and become a shining example of military professionalism in the region. Somaliland is even more interested, however, in Russia's willingness to promote Somaliland's independence in the form of a resolution to the UN, and, if Russia is honest about going forward with this resolution, it would ensure a fervent ally and friend in Africa for decades to come. In response to Russia's request to build a naval & air base in Zeila, Somaliland is more than willing to organize and allow Russia to construct a base of the proposed size. Somaliland, does, however, request that the official construction and announcement of this deal be delayed until a vote is held in the United Nations, so as to avoid a point of contention with the West. 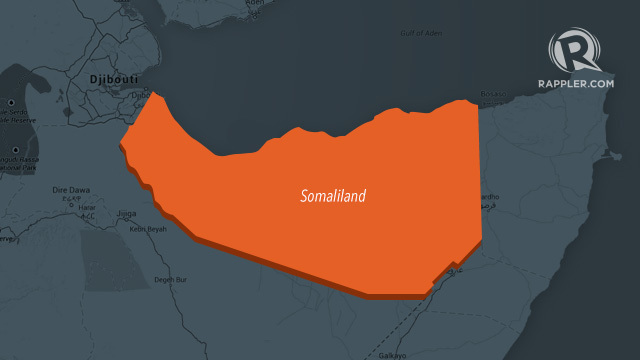 Somaliland does, though, give official approval to go ahead with the base. Somaliland is incredibly interested in Russia's proposal to begin exploiting Somaliland's fossil fuels. An initial investment of $250,000,000 would allow Somaliland to create a functional petroleum industry, and, as Russia is contributing massively to Somaliland's future, the proposed 35% of total profits made, despite however unfair or biased that may appear to outside observers, is a price Somaliland is willing to pay for a petrol industry and the first real chance of obtaining international recognition in decades.